Make sure you like Homemade to Healthy on Facebook to be updated each time we find new ways for you to live healthy. Are you looking for a simple way to have a pleasant aroma in your car? There are many things that can cause odors in a car that might not easily go away. If you do not want to buy an air freshener, then your best option is to make a DIY clothespin air freshener. 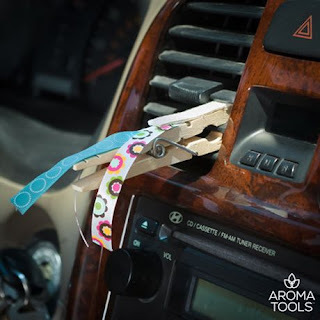 A DIY clothespin air freshener is the simplest way to have a really effective air freshener in your car. You only need to have three items for this project. The most important is a clothespin, buy you can use any type of clip that attaches to your car's air vent.